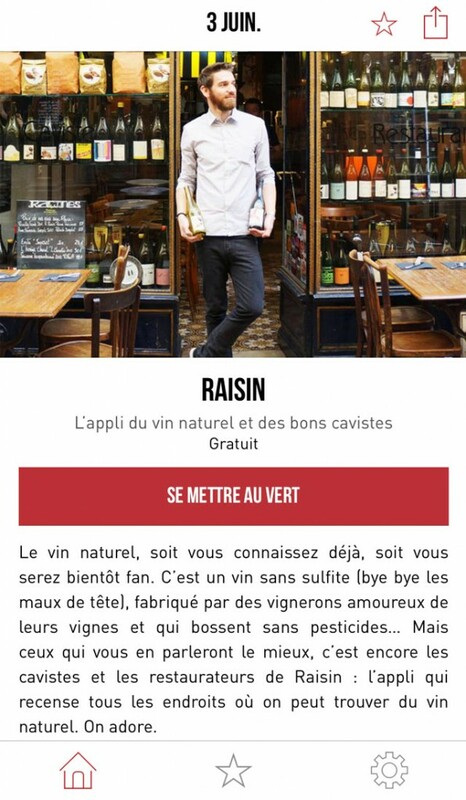 8 weeks ago – almost to the day – we launched Raisin : the Natural Wine App, in the hope we would see the community grow quickly, but without knowing how fast. 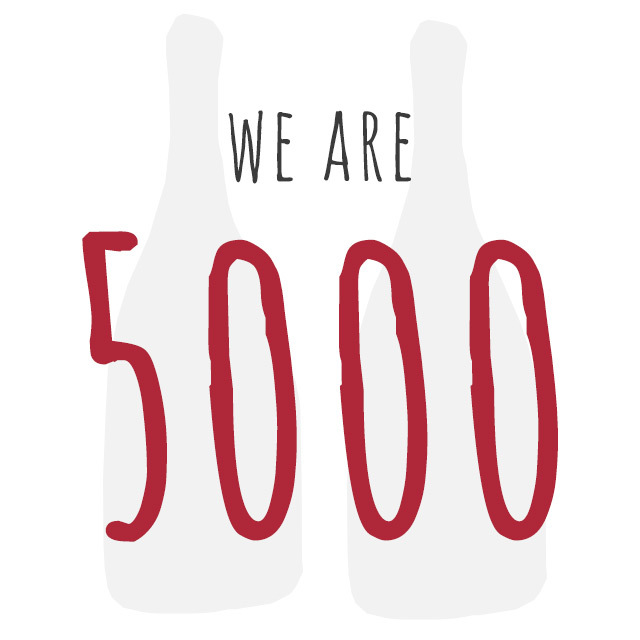 We just reached 5000 users! This is an important milestone for us and our app. 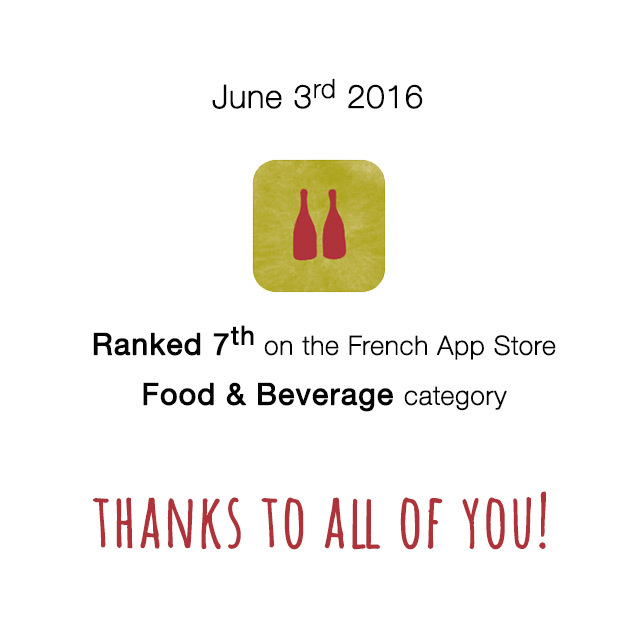 We are all proud and delighted that the natural wine community appreciates the app and our work to support growth in the natural wine movement. It’s only the beginning, watch this space for exciting new developments, soon! P.S: Thanks to Helene Mobailly who advised us that Friday’s downloads came from the Hook application (french), screenshot below. P.S. 2 : Thanks to you all, each and every one! Vivent les vins naturels ! Despite our best investigations we still do not know for sure what caused the Friday June 3rd frenzy, when suddenly 1,200 people downloaded Raisin, but it’s great! 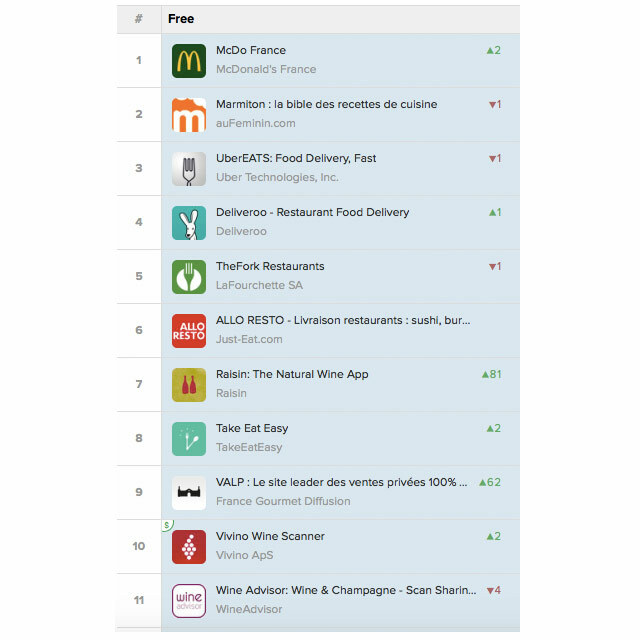 We ranked 7th in the Food & Beverage category on the App Store making us the leading wine app ahead of all tradition competition (Vivino, Wine, Delectable, etc.). We sincerely hope this is premonitory of the future triumph of natural wine! Thanks to all of our 3,700 users who have downloaded this app on their phone; you are wonderful! We are currently working very hard to produce the V2, not forgetting our future Android version either. We really want to create something that is as good as the wine markers we represent. Thank you to all those who are part of the team: Arnaud , Nathalie, Andrew , Olivia, Akiko , Tomomi , Paul. And special thanks also to all of you who are helping us: Natsuki, Samuel, Luc, Michel Tolmer, Antonin, Paco Mora, Aurélie, Le laptop, Quedubon, Yassine from Ten Bells , O’Divin, and to all the winemakers who are so welcoming to the Raisin community. And particularly a big thank you to all of you who support the natural wine movement, a different approach to wine and to consumption and in a different view of the world. Australian & Melbourne friends, get ready! A natural wine tide is coming your way and you’d better not miss it! Builders Arms Hotel invites an incredible number of wine makers and suppliers of wine, beer, cheese and other edible delights to spend the day at the pub showcasing their products for you to taste and enjoy. The whole world will there including wine makers from France, Georgia, Australia, Austria, Italia, etc. This is the place to be on earth that day on this side of the world, period! One of the distinctive features of the natural wine movement is the impressive number of women winemakers. 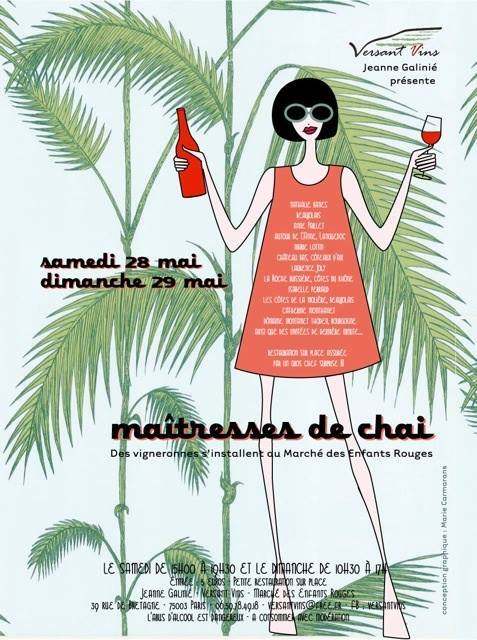 Since 2008, Jeanne Versant Vins organizes a yearly tasting weekend dedicated to passionate vigneronnes. Raisin is a fan! There will also be a woman in charge of the cash register: no other than Olivia Mann, our Raisin representative for Spain. Yes, her again! An excellent tasting, don’t miss it! Will you be in Spain tomorrow? In Madrid even? 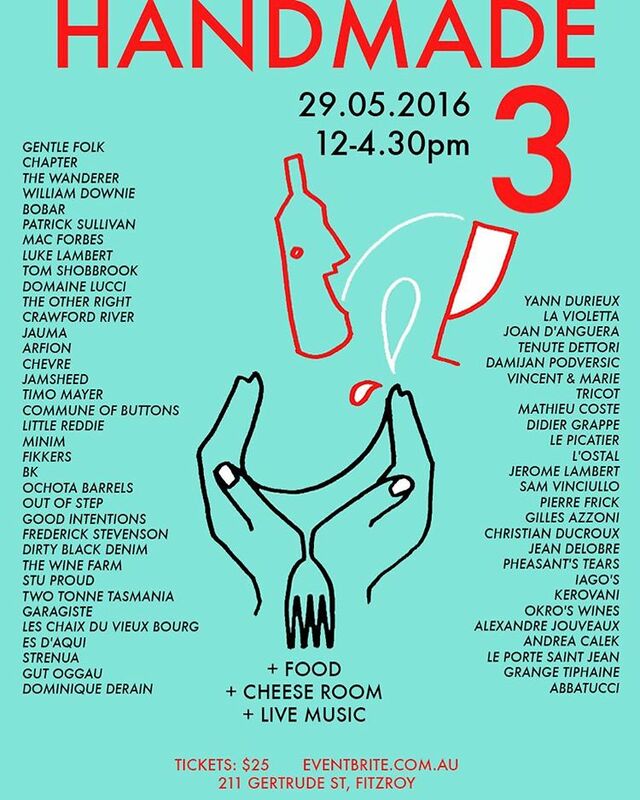 If so you’re in luck: there’s a wine tasting fair for you to visit! The Spanish natural wine association has organized Vino Vivo 2016 Salón de Vinos Naturales where twenty talented natural winemakers will be delighted to present their wines to you. Another good reason to visit is that you could meet Olivia Mann who will be representing us in Spain from now on, an event in itself. Paseo de las Delicias, 61, 28045 Madrid, Espagne. 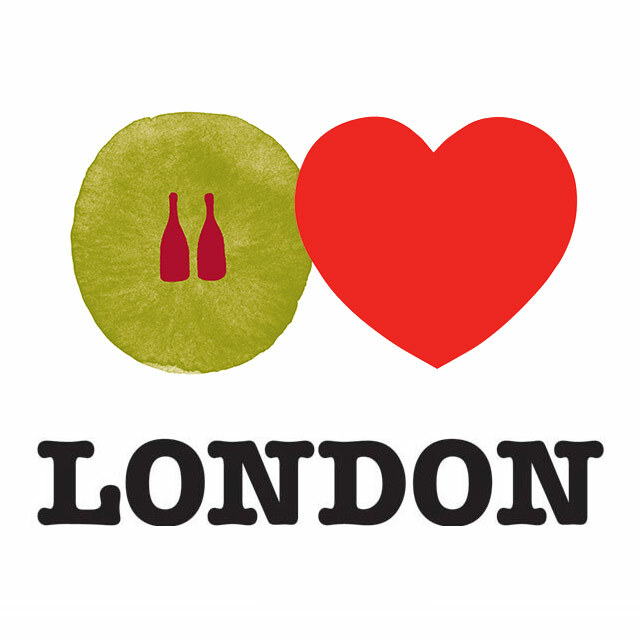 All London’s Natural Wine Bars, Restaurants and Wine Shops! Raisin loves London! You’ll find more than 60 natural wine establishments: bars, restaurants and a few wine shops, too. It is our representative in the U.K.: Charly Prymaka who has done a major update based upon our previous map. We have spent a lot of time collecting, verifying, and publishing these new palces, hope you’ll enjoy the work we’ve done.